I'm a big fan of blushers and my newest addiction is those of the cream variety. These are perfect Spring colours and I can't wait to start wearing them more now that it's finally starting to get a bit warmer and the sun is shining. Apologise for the usage in the pictures, damn you Real Techniques Stippling Brush for creating holes in all my cream products. All the colours are pretty similar, natural peachy tones except for the Mua blush however there is a huge difference in price. 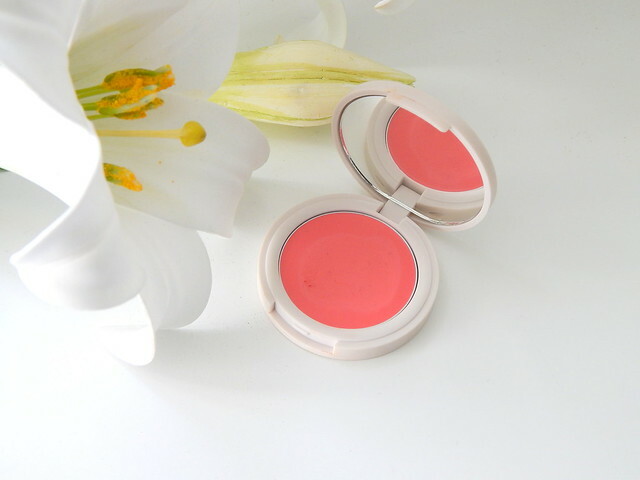 I featured this blush in my Three Brands Three Favourites post it's such a gorgeous peachy, pink neutral colour that is perfect for all year round. I've loved wearing this in the winter to give me a rosy glow and i'm going to love it equally in the spring I'm sure. I love that this blusher stays in place all day as some cream products tend to slip and slide all over the face. I do team this with a primer though to make doubly sure i'm covered. I apply this with a Stippling Brush and then blend it on to the apples of my cheeks. It blends so easily and you can never apply to much, especially because the stippling brush picks up just the right amount of product. I'd definitely recommend these simply for the staying power. Okay, it's official. I'm in love with Topshop packaging! But I am also in love with the product. 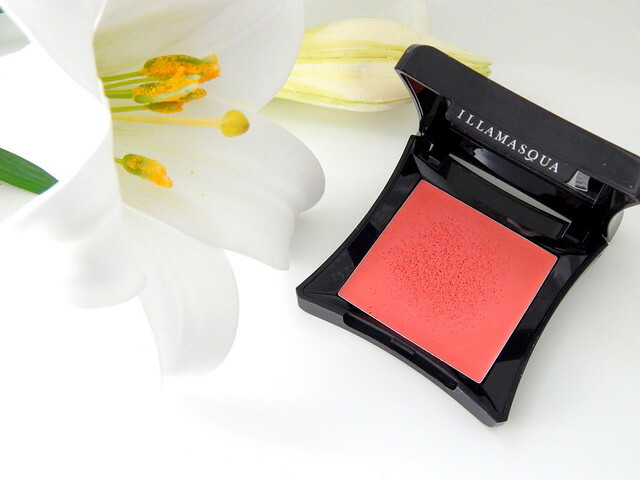 This cream blush is a similar shade to the Illamasqua one so it's going to come in perfect in the warmer weather. 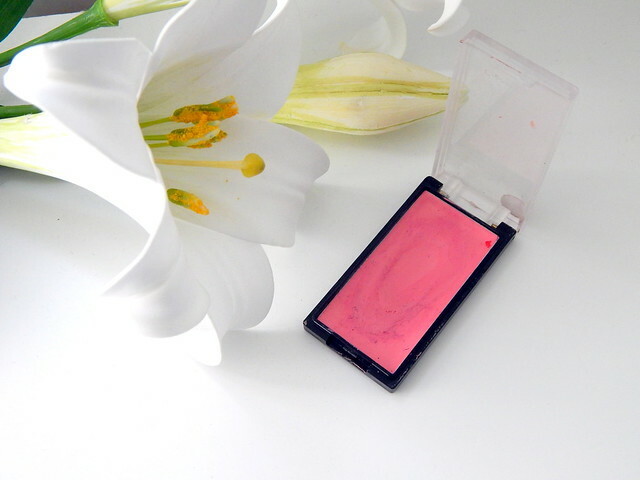 I love how pigmented Topshop cream blushes are but again they don't ever end up looking like you've gone a bit OTT. They blend perfectly when applied in the same way as the Illamasqua ones. This shade really compliments a strong contour as it's quite a natural tone, I love teaming this with my Sleek Contour Kit. 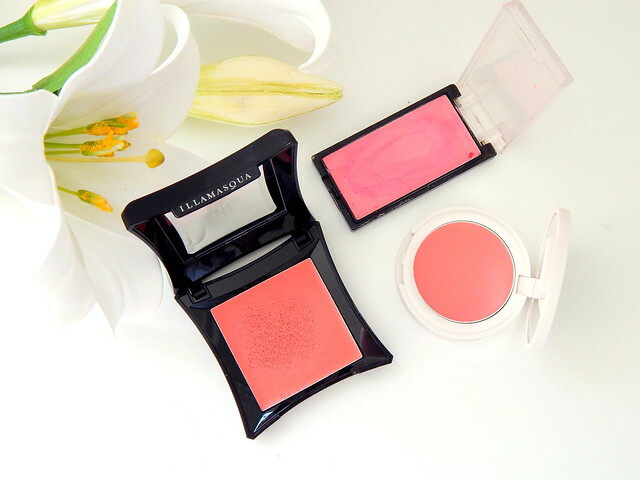 These apply like a cream blush but dry to a more powder finish which means they are pretty long lasting, I wouldn't say they last as long as the Illamasqua ones but you get what you pay for. Now we come to the cheapest of all the cream blushers and my least favourite unfortunately. I find these really super pigmented (most of the Mua range is) however the staying power of these cream blushes is not brilliant. They apply quite wet and stay on your cheeks in a similar texture meaning they slide off at any sign of warmth. That being said, the colours look really lovely and bright. The packaging is also pretty rubbish, the hinges on the lid have broken and the product itself slides all over meaning that hygiene goes out of the window with this. I tend to apply this with my fingers as it's so wet that it needs some firm blending but it does leave a nice finish once it's applied. 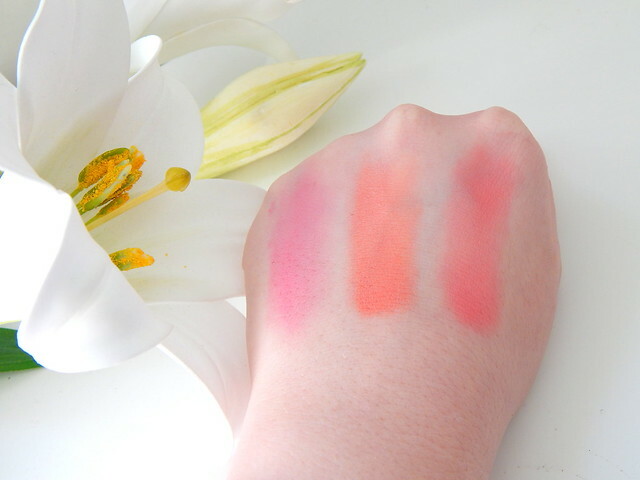 Left to Right - Mua Cream Blush in Bittersweet, Illamasqua Cream Blush in Rude, Topshop Cream Blush in Morning Dew. All in all I think you get what you pay for with cream blushers, if you're looking for something that lasts all day then i'd definitely be recommending the Illamasqua version. For a cheaper alternative that might need a touch up mid-day but leaves the same finish and has the nicest selection of colours then the Topshop product is for you. However if you're looking to experiment than for £2 you should try the Mua blusher but don't let them put you off if you find it hard to work with. 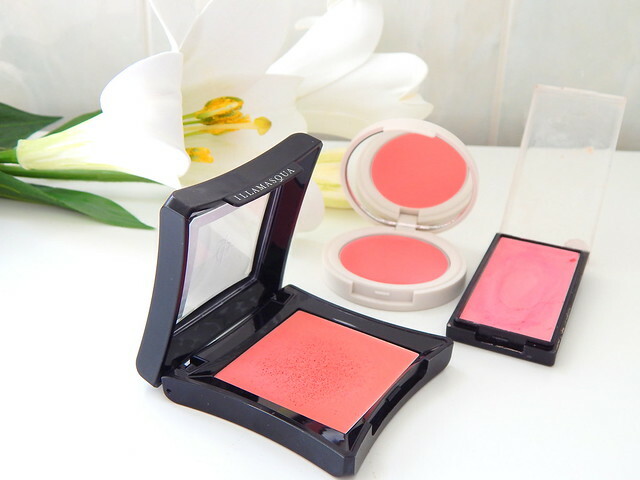 Have you tried these cream blushes before? 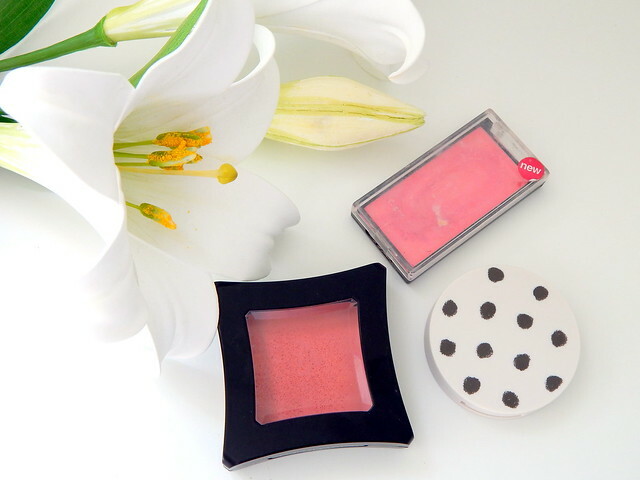 What's your favourite cream blush? I've been trying to decide which brand of cream blusher I want to try, the topshop one looks good! Omg! Omg! OMG!! These blushes are the prettiest ones yet! I've never see blushes so vibrant and as colorful. Thee look like they could give your face the most perfect color. Great post! Love these, I can't even choose a favorite!